To read the Globe and Mail’s full obituary on the late Alan Cairns, click here, or read text below. To read the Department’s in memoriam post on Alan Cairns, click here. In 1976, two freshly minted young scholars – Roger Gibbins and Rick Ponting – showed up full of vim and enthusiasm at the annual meeting of the Learned Societies, Canada’s pre-eminent academic gathering on the social sciences and humanities, to deliver a paper on attitudes toward Indigenous peoples in Canada. But Alan Cairns, the towering giant in Canadian political science designated as discussant for their session, was present. He suggested they go for coffee. He listened intently to the young men discussing their paper. He then, in response, proposed an agenda for their research work that they followed for the next 10 years. This was Hugh Alan Craig Cairns, who died in Waterloo, Ont., on Aug. 27 at age 88, a mentor, a kind, self-deprecating man whose interest in the work of his colleagues – whatever their age and status – was forever supportive, a teacher loved by his students (including former prime minister Kim Campbell and a roster of some of the country’s leading academics), a scholar described by fellow scholars as a genius and an elegant essayist who was one of the most original thinkers that Canada ever produced on the country’s political workings. Fellow political scientist David Cameron, dean of the faculty of arts and science at University of Toronto, likened him to an alpine skier who goes alone down virgin mountain slopes, plunging the slalom poles into the hills of political science so that those who come after him can structure their directions and professional trajectories. “He defined how people go down the hill,” Mr. Cameron said. He gave few media interviews. No one could recall him writing a newspaper comment-page article. He could not be labelled a public intellectual in the term’s ordinary sense. Rather, he wrote with nuance, sophistication and layered depth for other academics and generations of students, and the breadth and originality of his writing in academic publications was described by colleagues as unparalleled. Mr. Cairns once told a friend that a senior administrator at University of British Columbia – where he spent most of his academic career – informed him once that he was of limited value to the university because he didn’t bring in much research money. The reason: He didn’t need much research money because primarily, he spent his time thinking. He wrote an essay on electoral reform for the first issue of the Canadian Journal of Political Science in 1968 that received more citations than all other articles combined in the CJPS’s history. He wrote about the “embedded state” – how governments and their institutions were shaping the nature of Canadian society. He wrote about “Charter citizens” – how the Charter of Rights and Freedoms was changing the way Canadians gave themselves identities and visualized the mechanics of how their country should be governed (not, as he argued, by diktats of first minsters’ decrees such as 1987’s rejected Meech Lake Accord for constitutional amendment). An article he wrote on the Judicial Committee of the Privy Council – Canada’s top judicial body until it was supplanted by the Supreme Court of Canada in 1949 – turned academic thinking on its head in his discussion of judicial activism. He wrote forcefully about Indigenous peoples as “citizens plus” in a way that he hoped would open the door for them to assume full and equal membership in Canada’s larger settler society without assimilating. Instead, however, the notion of nation-to-nation separate identities has been gaining paramountcy. What students found most compelling about his work, said Keith Banting, director emeritus of the School of Policy Studies of Queen’s University, were his explorations into why it was so hard to find a constitutional framework the country could embrace – so difficult to reconcile the tensions between notions of equality of founding peoples (initially the French-English dualism and subsequently with the inclusion of Indigenous peoples in the equation), equality of provinces and equality of individuals. Alan Cairns was born March 2, 1930 in Galt, Ont., now the city of Cambridge. His parents, Hugh, a factory worker, and Lily, a homemaker, were Scottish immigrants. His two older brothers, John and Jim, also became academics. As a youth, tall (well over six feet) and gangly, he was a star pitcher for the incongruously named Galt Pups baseball team. He did his undergraduate and master’s degrees at University of Toronto and then went to Oxford, where he did a doctorate on British pre-colonial views of Africa – the research for which he conducted while living in the former British colony of Rhodesia (now Zimbabwe). He began his academic career in 1960 in the University of British Columbia’s political science department and taught there for the next 35 years, heading the department from 1973 to 1980. He was a member of the Hawthorn Commission, which in the early 1960s looked into the deprivations of Indigenous peoples (“Citizens Minus”) and declared in its report that Indigenous people in fact possess additional rights as citizens (“Citizens Plus”) through treaties, history and traditions – a kind of double-citizenship theme which Mr. Cairns developed in a 2000 book: Citizens Plus: Aboriginal Peoples and the Canadian State. He was an adviser to the B.C. government during the constitution patriation negotiations of the 1970s and 80s. He was appointed one of three research directors for the Royal Commission on the Economic Union and Development Prospects for Canada (the Macdonald Commission) with special responsibility for examining political and government institutions. He and his late former wife Patricia Grady had three daughters, Lynn, Wendy and Elaine. 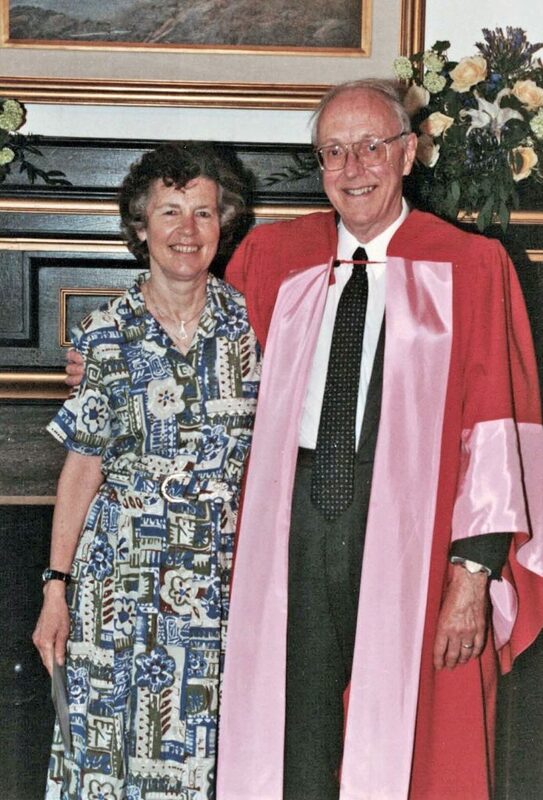 His partner for the last 18 years of his life was Anne Innis Dagg, a world-renowned expert on giraffes (she titled her autobiography Smitten by Giraffe) and the daughter of University of Toronto’s Harold Innis, author of seminal works on media, communication theory and Canadian economic history. Mr. Cairns leaves his daughters, three grandchildren, Ms. Dagg and her three children. Mr. Cairns, who was an officer of the Order of Canada, received many academic awards and honorary degrees and held visiting professorships at Harvard, the University of Edinburgh and universities across Canada. He held an adjunct professorship at University of Waterloo. Kim Campbell, who studied with him at UBC in the 1960s, said she adored him as a teacher but could be annoyed by his inclination to dismiss surfacing feminist thought in the academy. Ms. Dagg, herself a feminist writer (she wrote a blistering account of the Canada Council’s uneven awards to male over female artists), echoed the former prime minister. “It annoyed me, too,” she said. It is hard to proclaim a single outstanding legacy of his work because he wrote so deeply on so many topics. What’s striking, however, is how much he is still read. U of T’s David Cameron observed that a reading list put together this fall for political science PhD students at York University contains no fewer than nine articles by Alan Cairns. The deepest themes he pursued were the embedded state, federalism, the impact of the Charter on Canadians’ identities and the place Indigenous peoples could claim. Queen’s University political scientist Kathy Brock, a friend of Mr. Cairns, spoke of how he opened a major window into political thinking by writing about how the state acted on society, how the state was an actor in itself – an idea that underlay a lot of his writing on the Charter. It was, said Mr. Cairns’s political science colleague at UBC, Richard Johnston, an important explanatory factor of societal behaviour that was commonly neglected in the political science of the time. In his Citizens Plus thesis, Mr. Cairns raised concerns about a developing, sovereign, nation-to-nation association between Indigenous and settler communities in Canada – the risk, as he saw it, that the two communities could be left drifting downstream as side-by-side societies with no organic relationship, no willingness of Canadians to provide the support that Indigenous communities would need to develop. If this is a group that says they’re not Canadians, Mr. Cairns said, would Canadians then question what obligations they had to peoples who aren’t Canadians but whose land has been taken? Former University of Calgary political scientist Tom Flanagan, on the other hand, likened Mr. Cairns’s thesis to reaching into the U.S. civil rights movement to argue that Indigenous peoples needed help to become like other Canadians, as American blacks needed help to become like other Americans. The risk was that the goal would be seen as integrationist. Indigenous law scholar John Borrows of University of Victoria suggested more common ground might exist between Mr. Cairns’s double citizenship and notion of nation-to-nation relations than was acknowledged. As with many of the issues Mr. Cairns addressed, Mr. Flanagan said, he touched off a lot of significant debate.